As everyone knows, Broncos quarterback Peyton Manning uses the word "Omaha" while calling audibles from the line of scrimmage. This has gotten a lot of press in the hype leading up to Sunday's AFC Championship Game between the Broncos and Patriots. The word has been trending on Twitter the Nebraska city's tourism department has been milking it for all it's worth (they have lots of cows in Omaha, right? ), and Omaha Steaks has been using Manning's favorite word for marketing purposes. I was in Omaha once. For five hours. In 1992 when I was still working on political campaigns for a living, I was hired to work on a congressional race in California. Naturally, I had to be there immediately so I drove from Baltimore to California in three days in my old 1985 Ford Bronco II. It was a crazy trip, though the only real blip came when I broke down just outside of Omaha. With all the miles I covered I was thrilled to break down only one mile from a gas station, where I sat for five hours waiting for a part to arrive. So, I'm grateful to Peyton for dredging up this wonderful memory. 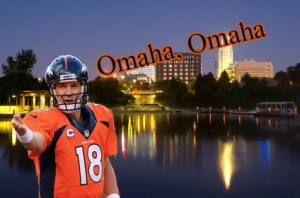 Anyway, as I watched the Brady/Manning Bowl I started reflecting on ways the word "Omaha" could be used in liturgy. At the end of the service the Verger could yell "Omaha" to change up the retiring procession. Perhaps indicating leaving one verse earlier in the hymn than originally discussed. The Celebrant could yell "Omaha" if he/she decides to call an audible at the altar and switch from Eucharistic Prayer B to Prayer D.
The Congregation could yell "Omaha" if the sermon runs over 20 minutes. 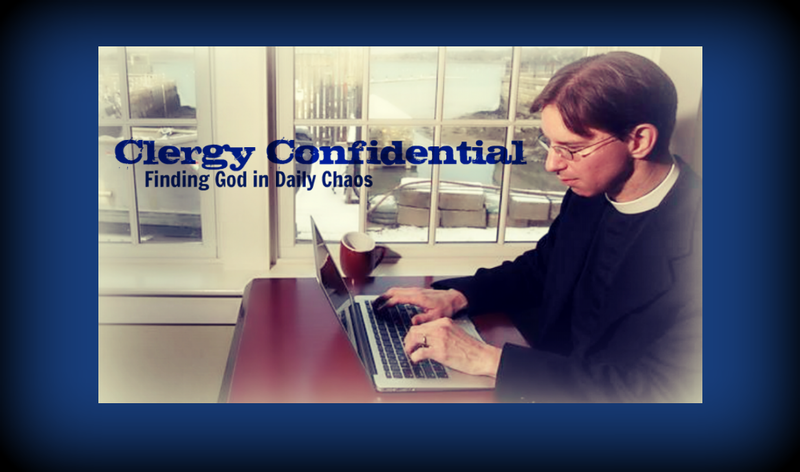 The Rector could yell "Omaha" if he/she hears heresy in the Seminarian's sermon. The Choir could sing "Omaha" to Anglican Chant just to show off. The Ushers could point and yell "Omaha" if a visitor doesn't place anything in the collection plate as it passes by. And if none of these work, maybe I can get the town fathers to approach Hinghamite Bill Belichick to persuade Tom Brady to start screaming "Hingham" before the snap. So glad to see a reference to vergers, even if it does involve their yelling "Omaha."